Imagine paying $4,675 for a piece of paper. It would make the days of $436 military hammers look pretty cheap, wouldn't it? Now imagine that piece of paper comes with a promise of having to pay more for your own good and where time spent acquiring that paper meant nothing. Most rational people would have visions of Bernie Madoff or some other Ponzi scheme. Yet this is the reality of the American Board of Medical Specialties' Maintenance of Certification (MOC) program for practicing US physicians. Note that because the cardiovascular certificate was renewed in 2013, it now was extended from 2013 through 2023. 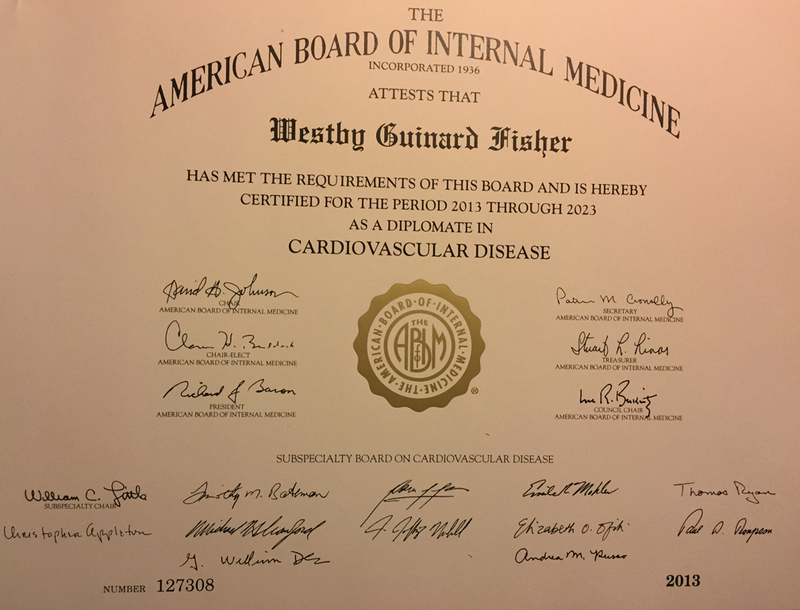 The cover letter that came with the new Cardiovascular Disease certificate was also notable for the three references its cited as "proof" of the value of these certificates. The three references were (1) Arch Intern Med 2010; 170(16): 1442-9, (2) Arch Intern Med 2009 (sic - Editor's note: actually 2008) 168: 1396-1403 and (3) JAMA 2005 294(4): 473-81. Reference (1) concludes that "Publically available characteristics of individual physicians are poor proxies for performance on clinical quality measures." Reference (3) is a cross-sectional retrospective analysis of data on US physician respondents to the 2000-2001 Community Tracking Study linked to Medicare beneficiaries they treated in 2001 that only generated the hypothesis that "profiling practices may help develop tailored interventions that can be directed to sites where the opportunities for quality improvement are greatest." Collecting relevant data, turning that data into information, and that information into action, drives almost every Qualidigm initiative and contract. So it appears that Qualidigm's authors (and the purpose of these certificates and entire MOC program) was manufactured not only for the money it creates for these boards, but for insurance company claim denials. 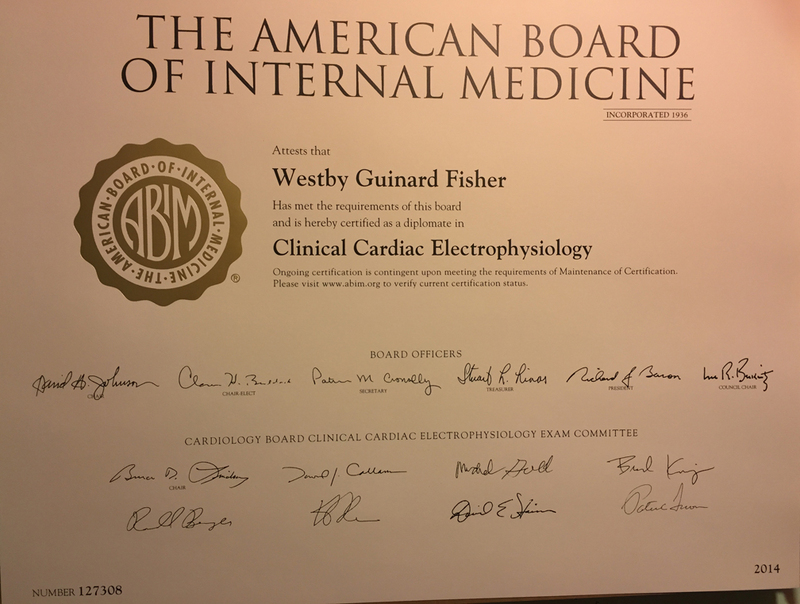 Note the fine print below the words "Clinical Cardiac Electrophysiology:"
"Ongoing certification is contingent upon meeting the requirements of Maintenance of Certification. Please visit www.abim.org to verify certification status." In essense the new 2014 (and later) "Maintenance of Certification" certificates are nothing more than very expensive hyperlinks to the ABIM.org website. Sorry, but I will never recertify and participate in this Ponzi scheme again. That disclaimer is on the new initial certificates as well, so now all ABIM diplomates, new and recertified, are held hostage by ABIM. So much for "voluntary" certification. Same. Just certified in CV and received my MOC-kery certificate. I've never been more angry or outraged in my entire life. They decided to use the certificate that should represent my years of work and sacrifice as a free ad I can post in my office for ABIM!!! Just like the dollar, the significance, prestige, and value of ABIM certification has eroded. It is a meaningless guild card. My state license now carries more gravitas than all my ABIM certificates. the survival of fox in a jungle is dependent on snatching food from the mouth of a more hard working animals than working harder to earn it. We physicians are just hard working lambs and shrewd foxes are having their party! we have gone too much into the technicalities of goodness and ethics that none of the other professions on the earth is meant to follow. in my 2 years post residency i have come to one conclusion that neither hospitals nor boards care about patient care, all they want is more money! the amount of patient care which i gave was the direct result of compassion which i had learnt from exposure in medical field and the hard work i have put to learn medicine and will continue to put, which no board can ever certify. Neither will I. ABMS must go, in its entirety. Apologies for my delayed comments, but I just received my 2014 ABIM subspecialty certificate in the mail. Suitable for lining a bird cage or wrapping fish. I wouldn't wipe my behind with it. I took a picture of it with my smart phone to preserve a digital record, stuffed it back in the envelope and threw it in a box in the corner of my basement. I would never dignify that paper scrap with a frame and will keep my eye out on social media for an organized certificate burning protest outside of ABIM's palace. Switching to alternative boards. MOC is ludicrous. They haven't listened to anything except those seeking to modify their current framework. They have no intention of stopping the cash train. Clearly they are happy to steer it down alternate tracks as long as we all still pay. The greatest atrocity remains this whole crock of crap called "Grandfathering". I finished residency in 1993. In 1990 everyone who was certified was grandfathered. That means that every board certified physician in the country at the age of 32 was grandfathered for their ENTIRE CAREER. Such BS. ABIM failed to send my certificate. They wanted to charge for a "replacement" claiming they had to pay a printer about 100 dollars to copy one certificate. I asked them to pay for it themselves, I already paid. "Look, you guys failed to mail it. Why should I pay?" ABIM refused to cover the cost of printing. Wanted 100 bucks or nothing for me. I challenged the ABIM on the cost of the certificate. "Why so much for a piece of paper? "That is just what the printer charges us." They would not even reduce the price and split it with me. I ended the conversation frustrated. I called back in a few days hoping there was someone more reasonable. I spoke with the head of the certificate process who told me they were getting their own machines for printing and could send me a copy for 100 bucks. In light of the fact that they admitted getting their own machines, you would think that the 100 dollars would be excessive. I called back when they got their machines readied to roll. It was contrary to what I thought. "No discount for you," he responded. Sorry, babe, you have to pay $100. I think their test with all of the questions is worth less than the piece of paper it is written on! More examples of ABIM thinking only of their own bottom line and big payouts for Rich Baron, et al. is not to serve the physician, but to feed their own silk sleeves. Is the Medicare "Doc Fix" Really So Appealing? Physician Civil War or Revolution?